Welcome to "Thanks, Internet" -- a weekly feature in which we share the five best things we saw on the internet over the past seven days. The internet took a minute to recover from a cameo-heavy Coachella and a classy Nirvana reunion this week, but recover it did. Pharrell Williams managed to have the festival's most cameo-heavy setand play a major role in the recovery, though Oprah may be to thank for the latter. You don't often see dudes in big blue-green hats sobbing, but that wasn't what made the moment. In the cry heard round the world, Pharrell broke down during an interview on Oprah Prime after she screened footage of fan-made music videos for his irrepressible hit, "Happy." "Why am I crying on Oprah?" he asked as he wiped his eyes. That the pop star with the longest winning-streak in recent memory is still so genuinely touched by his fans' tribute, well, that would make even Tommy Lee Jones crack a smile. Oprah gets it. We all get it. Anyone can post a "Happy" music video. 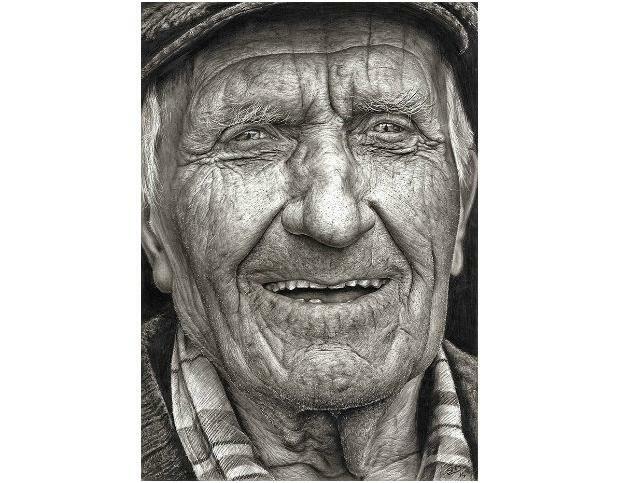 In the category of Things You Can Never Hope to Accomplish, a 16-year-old from Irelanddrew this portrait with a pencil. At this point, the four members of Vampire Weekendwould appear to have more side projects than the Wu-Tang Clan. But we're not going to hold it against them because they continue to make wonderful music across the board. The latest collaboration to drop is Chromeo's "Ezra's Interlude" featuring --- you guessed it --- lead Vampire, Ezra Koenig. Listen to the frontman channel Prince and the rest of the 1980s, and remind us to enlist him the next time we need an interlude. 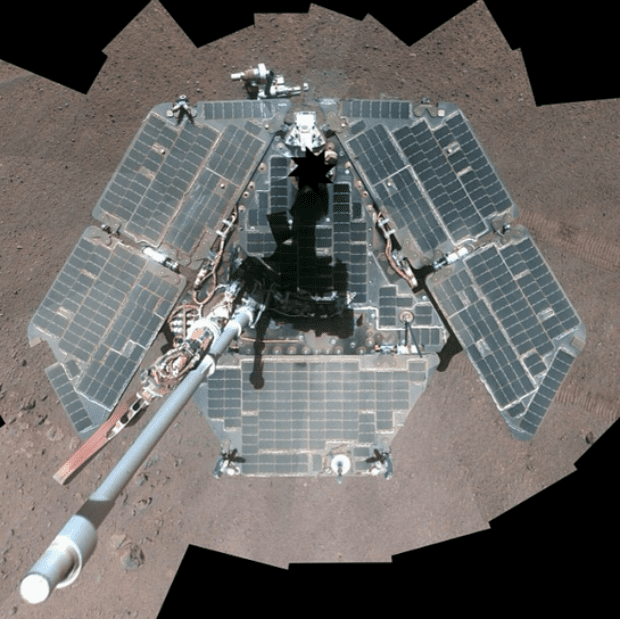 NASA's Mars Exploration Rover Opportunity took this captivating selfie. Unlike human selfies, those taken by rovers don't result in think pieces or enraged train conductors kicking people in the head. This isn't the first time Opportunity has struck a pose for itself, but it is the first time we've seen the rover fresh out of a wind shower. Hi @GillianA why did you keep twitter a secret from me all these years ? I'm here and I heart scully ;) What's up? Thanks to Jules Henderson and The Nimesh.